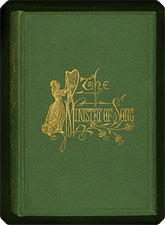 I recently stumbled upon a book of poetry by Frances Ridley Havergal called "The Ministry Of Song" published in 1872. Havergal may be best known for her hymn "Take My Life And Let It Be" but I was taken by the Prelude of her collection of poems. God’s glory be its ocean home, the end it seeketh ever. This has become a regular prayer for myself and those who write, sing, and lead musical worship. May our songs be used to point others to Christ and let them blend into the stream of sanctified endeavor, and may they be lost in the ocean of Gods glory and not our own. "Lord, would you just come down and meet us here? Just touch us in a fresh and powerful way. We just need to learn how to pray, so we just ask You right now, would you just teach us how to pray?" The word "just" is to the prayers of Contemporary Church-goers, as the word "like" is to the conversations of California valley girls. Has anyone else noticed this? Allow me to recommend a solution to your new annoyance. (Believe you me, you will be annoyed the next time someone is praying the "Just" Prayer). There is a little black book called the Book of Common Prayer (see my recommended books in the left margin). It is filled with common prayers written by people in history who labored sometimes for days over two-sentence prayers. Not only did they weave their words together with great intricacy, each prayer was written for a specific Church Calendar season or sacerdotal occasion, among other things. 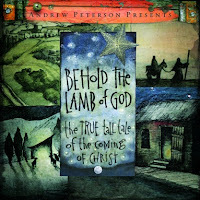 If you have not beheld the Lamb of God with Andrew Peterson, you simply must. Buy this album, sit down with your audio medium, close your eyes, and enter the world of one of the best tellings of the Christmas narrative ever produced. Seriously, it's that good. Merciful God, who sent your messengers the prophets to preach repentance and prepare the way for our salvation: Give us grace to heed their warnings and forsake our sins, that we may greet with joy the coming of Jesus Christ our Redeemer; who lives and reigns with you and the Holy Spirit, on God, now and for ever. Amen. Christmas time is here. Our decorations are up and lit, hums of Christmas tunes fill the air, and the feelings and memories of Christmas past ring in our souls. We are filled with joy and childish reversion. And just as we long for the the holiday cheer of vacations, families, and presents, we long to once again hear the story of the Christ Child come. A new year has begun. It is the first week of Advent, the beginning of the Church Year. We join the children of Israel as they wait for their King to come and save. It wasn't eggnog and ornaments for them. They desperately longed for deliverance from years of torment and injustice. Remembering promises and prophesies of the coming Messiah, they cried out to Yahweh. It's hard for us to worship in this way. We desperately long for the newest fashion line and video game system and cry if we don't get what we want. Let us not forget the penitential side of Advent; that we are sinners, deprived of goodness, and in need of a Savior. As we worship Christ this season, let us cry out to Yahweh for salvation, and let us praise Him with the best kind of Christmas cheer, the joy of redemption through Christ. Our Advent worship is, in the words of Bob Webber, "joyful sorrow." What is the purpose of musical worship in church? To answer this question, I believe we must first determine what is the central part of a worship service. Before the Protestant Reformation, the Eucharist, or Communion, was the center of church worship. This is still true for the majority of the Church today, namely Catholics. The movement of their worship, or liturgy, culminates in the past (the work of the cross) merging with the present (the Sacrament), i.e., Christ is present with His worshipers in the Eucharist, hence His “communion” with His worshipers. In the same time dimension, God’s, worshipers are present with Christ at the Last Supper, on the cross, and in the resurrection. The Eucharist celebrates the Church’s union with Christ, so it is always the climactic moment of worship. This “presence” of God in the sacraments, bread/body and wine/blood, was one of the major protests of the Reformers. Not the spiritual/mystical presence of Christ, but His physical presence. And like most people that have bones to pick, Protestants have minimized the importance of the Table of the Lord in their practice of worship, mostly for fear that it will become as rote and ritualistic as it has for many in the Catholic Church. 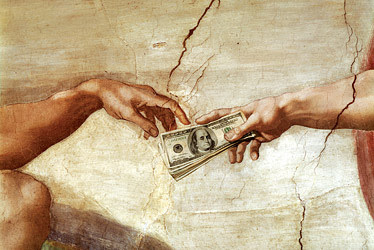 So, beginning with Luther and Calvin, the Word began taking over as the centerpiece of worship. Sola Scriptura, Scripture alone, was one of the foundational tenants of the Protestant Reformation. What that meant for them was that the Word of God was the only special revelation of God, the only means by which God revealed Himself to men in a saving way. For the Catholics the service of the Word was essential for the telling of God’s story. They placed a very high value on Scripture, reading three passages every week (one Old, one New, and one Gospel), but the Eucharist ultimately served the greatest purpose. Not so for the Reformers. The Sacrament of the Eucharist did not have the power to save, as Catholics believed (and still believe), so the Protestants demoted it to the passenger seat, while elevating the Word to the highest place. I could go on about the history of this split, and I should, but let it be sufficient for now to know that the Eucharist is the center of Catholic worship, and the Word is central to Protestant worship. Now, what is the purpose of musical worship in church? Well, for me, I lean toward the Reformed camp in what they deem central to worship, the Word. But, I also recognize what we Protestants have lost by pushing the Table aside. At any rate, I do not believe musical worship in itself should ever be the center of worship. It should serve as an aid to worshipers receiving and responding to both the Word and the Eucharist. Unfortunately, what has happened in the Contemporary Church is that “Praise and Worship” has become such a major part of the service that worshipers have come to think of it as “worship”. Worship has been redefined as an emotionally heightened experience of the presence of God through singing songs. If singing songs is “worship”, what do we call the Word and the Eucharist? I’m not here to say that Praise and Worship is bad and should not be a part of worship. What I am saying is that musical worship should not be an end in itself, but rather, it should be a means to the people of God worshiping Him through the Word and the Eucharist. Musical worship can open our hearts and prepare the way for Christ, the Word. It can calm the waves of busyness that consume us. It can stir us and ignite a passion in our hearts to praise God. It can turn our affections away from ourselves and toward God. It can refresh and heal us. But it cannot save. Like the Eucharist, musical worship cannot secure our rightstanding with God. It can only point us to Christ, the Word made flesh. And it is only He that can invite us into a true expression of worship. What this means for me, a worship leader, is that my job is not merely choosing songs and performing them. It means I must think carefully of how I can lead people in receiving and responding to the Word, first, and the Eucharist, second. 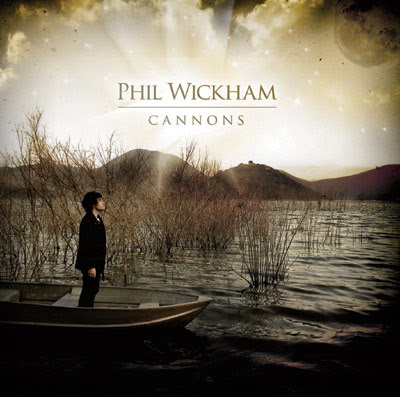 How does this Opening Song help bring worshipers together in exuberant praise of their Maker? How does this Song of Preparation before the sermon prepare the hearts of worshipers to receive truth? How is this Response Song helping people respond to the Word they just heard? 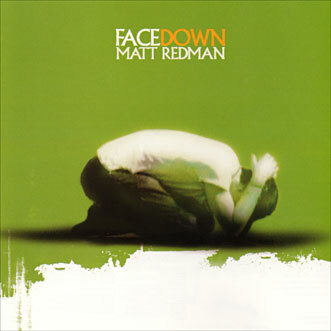 How does this Communion Song bring people to the cross and empty tomb of Christ? And how does this Dismissal Song encourage us to bring the gospel with us as we leave? These are the questions that go through my mind when I am planning and choosing songs for a worship service. As a side note, there will be fewer complaints about style, etc., when musical worship serves the greater purpose of aiding worshipers in receiving and responding to the Word and Eucharist. What better answer to a complaining parishioner than, “I’m sorry to hear of your disappointment, but I chose that song because it best prepared our hearts for the specific truth our pastor had for us today.” After all, it is not your responsibility to please the people of your church. It is your duty, nay calling, to point people to Christ by supporting the Word and Eucharist with your musical worship. I am in a season of life that is busier than ever there was one before. I thought (or hoped) that finishing school would reacquaint me to the stress-less life of freedom I previously experienced twenty-four years ago, before I started school. Nope. The day after I graduated, our first little one was born, introducing us to an entirely new means of time consumption. Additionally, I work more hours per week and have accumulated more vocational responsibilities than formerly assigned. Then there's home maintenance, financial budgeting, grocery shopping, car problems, emails, a little TV, more car problems, and bit of blogging, all of this pushing out time for spiritual and physical discipline and family cultivation. But in all of this craziness I am getting twenty minute snippets of Emotionally Healthy Spirituality, as I ride the bus to work. Through one particular chapter of this book the Holy Spirit is convicting me to the core, as Pete Scazzero addresses the perpetual forward motion in my life. The chapter is titled, "Discover the Rhythms of the Daily Office and Sabbath: Stopping to Breathe the Air of Eternity." God is exposing my utter disobedience to his command for me to rest. And it's true. Every moment of every day I'm moving, moving, moving. Even when I sleep it seems like I'm only doing it to get quickly charged up in order to keep going, and going, and going, just like you know who. I'm beginning to put the pieces together, now, as to why I have constantly been tired and artificially motivated for the past four months. I haven't been stopping. What Scazzero suggests is that I establish a stop-and-go rhythm in my daily life. Throughout history, from Bible times to now, the people of God have taken regular breaks. Key figures, such as King David, Jesus, St. Benedict, and Martin Luther, would stop what they were doing multiple times daily to seek God. Christians around the world have taken to the Daily Office, which is composed of such elements as stopping, centering, silence, and Scripture. The Jewish Sabbath, instituted and commanded by God, allowed for God's people to rest weekly, and the Law also provided for more extended seasons of sabbatical. Why? Because they needed it, the earth needed it, God wanted it, we still need it, and God still wants it. Sabbath encourages us to stop, rest, delight, and contemplate. So, why am I "still going"? Because I don't think I have time to stop. The absurdity in this is astounding. It is sheer disobedience on my part, causing more stress, task incompletion, frustration, and anxiety than if I would just flow with God's wonderful design. All this to say, in order to worship God, we must stop what we are doing and focus on what He is doing. What happens when you snap a photo while you're moving? The image is distorted. In the same way we must be still in order to see God clearly. The title of this blog site (Reform worship.) is an imperative command. We are telling ourselves and asking you to reform worship. In our minds it is imperative that we continue refining and expanding our understanding and practice of worship. I like imperative commands. Not because I think I'm right, and it's imperative that you change, but because of the challenges that come with imperatives, first to myself then to others. I also like imperative commands in praise and worship songs. For example, the hymn "Come Ye Sinners" calls everyone to find refuge in the loving arms of Jesus. As we are singing the song, we are, in a sense, inviting each other into Christ's embrace, singing to one another in a very communal way. This type of corporate communion is somewhat rare in the average American worship service. In a culture where individualism thrives, the church can be uncomfortable collectively worshiping God, especially singing to one another. We are most comfortable singing in the first-person singular to God, "I love you, Lord." We are also fine with singing songs about God, "The Lord is gracious and compassionate." But we are much less accustomed to exhorting one another in song, "Come ye sinners." Last year I wrote a song with the intention of breaking myself out of this mold. It has turned out to be one of the more effective songs our congregation sings together. I believe it has something to do with the imperative nature of the lyrics and the communal worship experience it facilitates. "How Great Is Our God" (Sing with me. [Although, in my opinion "sing with me" is kind of an awkward lyric to lead.]). My brother and his wife attend an urban church. During one particular Sunday worship service, instead of the usual singing of songs before the sermon, everyone was given a trash bag and went around the neighborhood picking up garbage and talking to each other about what God has been doing in their lives. They reconvened after a short time, filled the stage with trash, and continued worshiping. As I have relayed this story to others, I have had mixed reactions. Some think it is awesome to break out of the typical Sunday morning routine and do something like this. 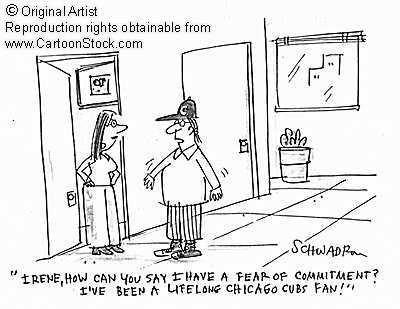 Others believe singing should always be a part of Sunday worship, and they are not so quick to throw unpredictibility at the people. I believe Sunday worship should be a time for a gathering of people to collectively exalt the Name and Word of God (Ps. 138), and the ways in which we worship should aid the people in such a response. So, is picking up trash one such way of glorifiying God? Is there a place for this in Sunday worship? Might worship leader-less churches benefit from creative alternatives to music in church?